Why did Joe dodge his shift down the mine and what happened when his brother took his place? Can a computer get angry? Why did an encounter with an upturned glass so terrify a group of newsmen? Can new babies communicate without speaking? 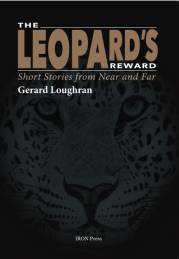 These and other intriguing questions are posed in Gerard Loughran's short stories, written after years of foreign reporting and set in venues as far apart as Africa today and yesterday, France during World War One, ancient Tarsus, everyday Britain and outer space. The author has now returned to his native North East to write his fiction. In his early years of journalism, Gerard Loughran worked for both the Evening Chronicle and the Northern Echo .